BTPS is a full-service book distributor, providing tailored sales and fulfillment options to high quality publishers. Click here to learn more about becoming a BTPS book sales and distribution client publisher. Publishers who proactively pursue sales and marketing to library and education markets in addition to sales to general consumer retail and wholesale markets benefit from a reliable source of revenue that helps to temper the risks and uncertainties of today’s retail climate. No other book distributor can match the reach of the combined Follett/Baker & Taylor businesses. K-12 libraries: Follett School Solutions is the leading provider of books and materials to school libraries, representing about 85% of the market. Public libraries: Baker & Taylor is the preferred provider to the majority of U.S. public libraries with an approximate 65% share of the market. BTPS is also the leading provider of English-language books to libraries around the world. Academic: Follett Higher Education dominates the market with 1,200 retail stores on college, university, and junior college campuses in the U.S., serving more than 5 million students. BTPS has a sophisticated portfolio of systems and data processing capabilities that allow seamless communication among BTPS warehouses and business facilities. Mark Suchomel oversees the domestic and international sales, distribution, and fulfillment operations for BTPS. He was previously president of client services for the Perseus Book Group and president of Independent Publishers Group (IPG). Ken Fultz oversees Bookmasters, the book printing and manufacturing operation of BTPS. He was previously vice president of operations for Thomson-Shore and vice president and general manager of The Mazer Corporation’s printing services division. Jeff Tegge is responsible for the full spectrum of Baker & Taylor and Follett solutions and represents BTPS client publishers’ titles to the public library, K-12, and higher education markets. He was previously the president of Legato Publishers Group and prior to that, the vice president of sales at Independent Publishers Group (IPG). Tony Proe facilitates new client acquisitions efforts for BTPS. He has represented hundreds of publishers including Houghton Mifflin, Health Communications, Syracuse University Press, and Tyndale in addition to previously managing his own sales organization. Mark Hillesheim manages sales efforts to BTPS client publishers’ titles for Barnes & Noble and Barnes & Noble College as well as library and trade media in New York and Canada. He was previously vice president of national accounts, backlist operations at Harper Collins and national account manager at Legato Publishers Group (PGW). Dan Verdick directs sales efforts for Amazon and key U.S. independent bookstores, as well as manages the commissioned sales force selling BTPS client publishers’ titles into the independent bookstore market. His previous experience in trade and educational publishing sales and marketing includes time spent with MBI Publishing/Motorbooks, ABDO Publishing, Children’s Plus, and the University of Minnesota Press. Larisa Elt works with existing and prospective academic, professional, university, and scholarly press publishers as it relates to supply chain services with an emphasis on print-on-demand (POD) and third-party book distribution services. She previously held senior sales and marketing positions with McGraw-Hill Education, Jessica Kingsley Publishers, Oxford University Press, and Bloomsbury Continuum. Christina Noriega oversees BTPS’s special markets efforts, including key account management, as well as specialty retail, direct mail, specialty wholesale, and online retail channels of sale. Her past experience includes positions with Sterling Publishing; Ryland, Peters & Small; Scholastic; Klutz; DK Publishing; and Simon & Schuster. Randy McKenzie directs Christian national account sales for BTPS client publishers’ titles for Ingram/Spring Arbor, LifeWay, Christian Book Distributors, Select Media, Mardel, Cokesbury, and the Munce Group, among others. He previously managed a variety of both trade and CBA accounts in addition to helping launch and establish the best-selling Chicken Soup for the Soul series. Michelle Dougherty oversees the client services, order entry, and inside sales teams for BTPS client publishers. Prior to BTPS/Bookmasters, she held other front-line customer and client services roles. View the network of sales representatives with whom BTPS partners. GPS is an international, full-service client distribution model, different and separate from Baker & Taylor’s international wholesale business. GPS represents its client publishers and sells their titles to more than 2,000 international customers in addition to providing international sales and marketing, strategy development, and world class logistics. The GPS sales team is comprised of representatives who make in-person sales calls to accounts in all major international markets; these accounts include wholesalers, distributors, bookstores, internet/online retailers, libraries, international schools, and direct-to-consumer accounts. GPS sources client publishers’ inventory from among the five Baker & Taylor distribution centers allowing for worldwide shipping to accounts in 6 to 8 days rather than 6 weeks, reducing overstocking and making GPS a low-risk opportunity for titles to compete in the global marketplace. BTPS partners with Magenta Entertainment in Canada to facilitate client publishers’ Canadian sales to Indigo, independent bookstores, library wholesalers, price clubs, and other retailers with a team of sales representatives responsible for each Canadian province. In addition, BTPS partners with Fraser Direct Services for warehousing and fulfillment and is part of Fraser’s Jaguar Book Group, an entity from which most Canadian retailers buy, augmenting the market strength of BTPS in Canada while also facilitating payments and collections. View contact information for Magenta Entertainment. BTPS sells into a wide variety of specialty retail and wholesale accounts including craft stores, gourmet food stores, museums, hospitals, gift shops, specialty retail chains, mail order catalogs, specialty wholesalers, online resellers, bulk/promotional resellers, and homeschool retailers. Click here to email the BTPS Special Sales Team. 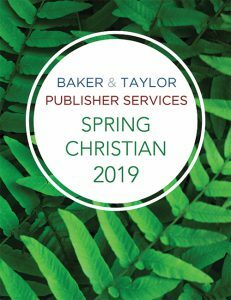 BTPS is unique in its partnerships with Christian and faith-based publishers, helping them expand title sales and awareness in both the CBA and ABA marketplaces. Click here to learn more about BTPS Christian book sales & distribution. BTPS regularly compiles categorical listings of client publishers’ applicable titles for communication to both secular and Christian homeschool retailers and consumers. For more information, contact Karen Broach at 567.215.0030 Ext. 1435 or kbroach@btpubservices.com. Upon joining BTPS, client publishers immediately receive personalized attention and are welcomed into a culture of partnership. A multidisciplinary transition team ensures a detailed, efficient onboarding process. Publishers receive a dedicated client service representative to assist with day-to-day logistical needs. The BTPS in-house sales team provides extensive pre-publication consultation and discussions on title positioning as well as continuous feedback and communication on major accounts, sales presentations, and promotional opportunities. Available promotional programs include representation at national and international trade shows and inclusion in sales catalogs, eNewsletters to independent retailers, and targeted outreach to key retail and library accounts. Publishers have access to real-time information regarding inventory, sales, returns, and revenues through the BTPS Publisher Dashboard. Located in Ashland, Ohio, the BTPS manufacturing facility is under the same roof as the BTPS hub distribution facility, eliminating shipping time and expense while allowing for maximum cash flow. BTPS client publishers receive exceptional pricing. A single print file provides access to offset, short-run digital, and print-on-demand (POD) options, allowing flexibility in physical inventory management. Click here to learn more about Book Manufacturing with BTPS. Interested in book sales and distribution for print and/or eBooks with BTPS? BTPS would serve as a publishing partner under a print or eBook distribution agreement, handling practical operational functions such as warehousing, metadata dissemination, sales, order fulfillment, invoicing, collecting, and customer service. Those with publishing programs that satisfy this criteria are encouraged to complete our online questionnaire. Please allow for at least 2 weeks for BTPS to review your submission and follow up regarding next steps. If it feels as though BTPS’ services might be a bit beyond the scope of your current program, BTPS encourages you to investigate Small Press United.